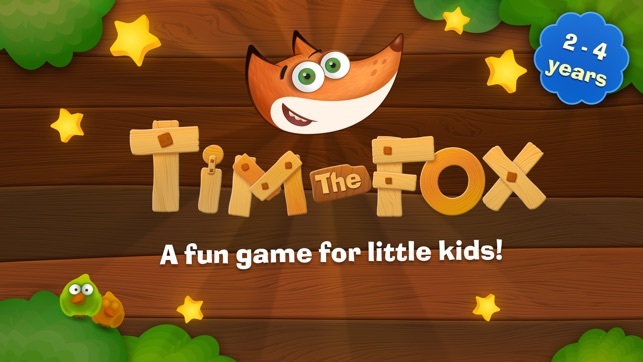 Toddler teaching game "Tim the Fox"
Your child will certainly enjoy playing with the fox. 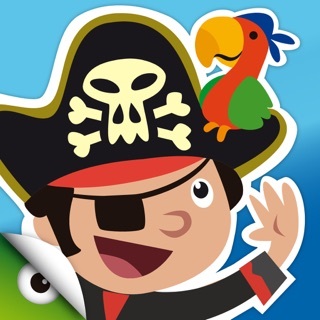 What's most important, though, is that the game will help children master skills that they will need in everyday life. 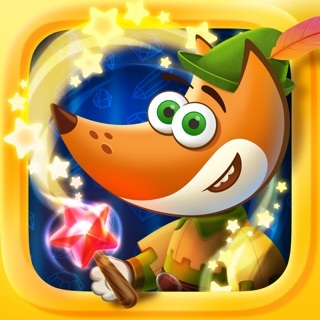 In every mini-game, you'll hear a new story about Tim the Fox. 1. 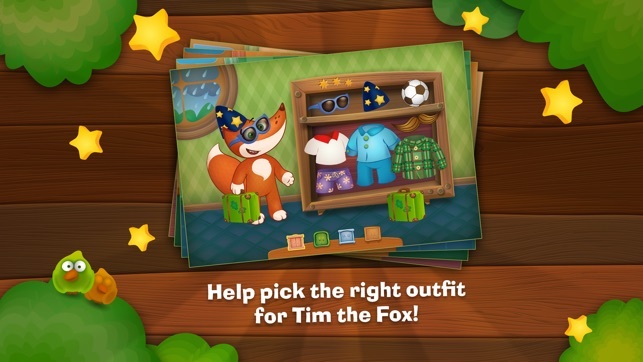 "Dress the Fox" – in this game you need to dress Tim like a baker, get him ready to go out on rainy and sunny days, and help him try on wizard suits and pajamas. 2. 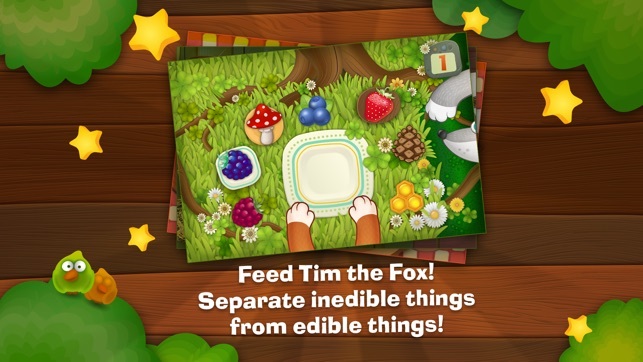 "Feed the Fox" – you need to choose edible and non-edible objects, select sweet and unsweetened foods, and distinguish between vegetables and fruits. 3. 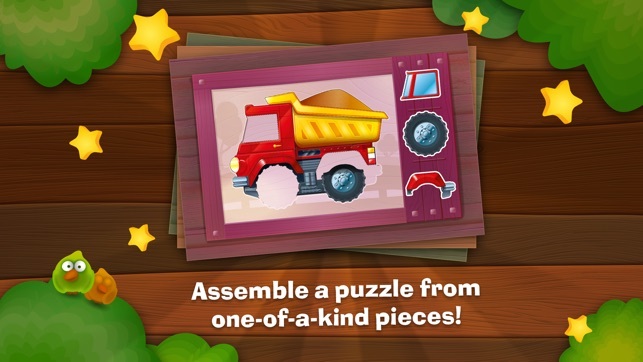 "Puzzle" – build a truck, house, and bouquet of flowers from simple elements. 4. 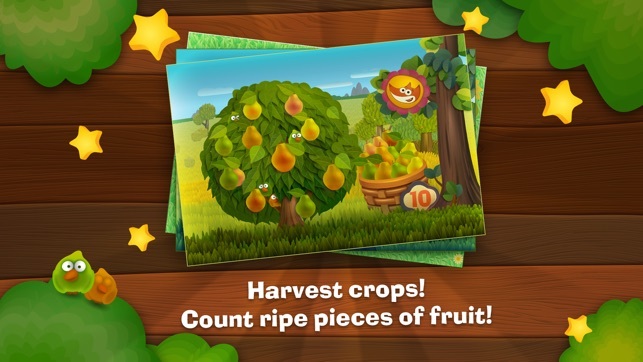 "Harvest" – you need to gather and count pears, carrots and blackberries. This app is one of a kind. 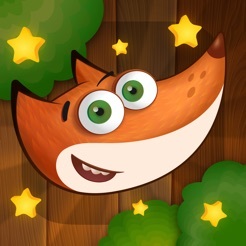 Kids gets to interact with the fox and learn situational skills. If it's sunny you will wear a t-shirt for example. 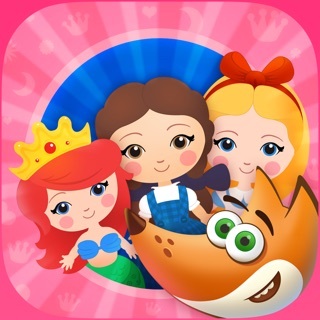 It's voice guided game that helps kids interact and learn works and social skills. You get to dress him, feed and many other things. I loved when my son played it. I was sure he learning while playing and not wasting his time. 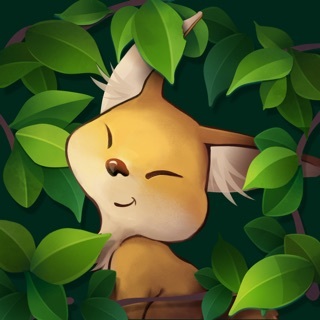 Beautiful graphics, animations and effects. Great job, hope to see more updates. 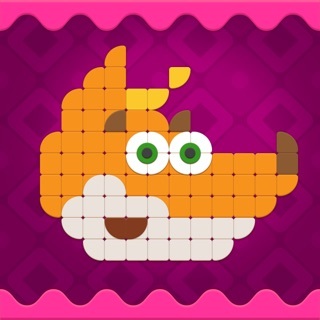 Tim the Fox is a very good application. 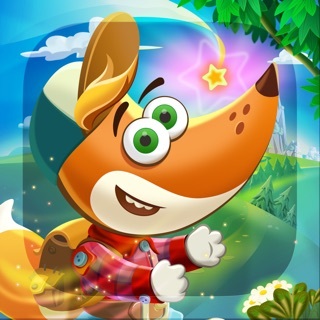 This app has taught my children how to dress for the weather, regardless of the type of food to eat and not eat, count from one to ten, and build beautiful puzzles. The most important thing is that the game will help students master skills that they will need in everyday life. very good game design. Game is also very easy way. I can say this application is appreciated. I am very happy with this app. thank you very much application. 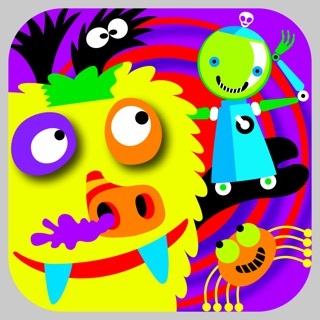 This is a complete games and the good of my children, thanks to this game it can distinguish edible or not? Counting the numbers and most importantly for its practice of skills in everyday life. 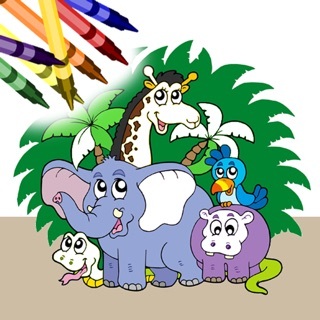 Graphic design and signature or with standard sound made this game very attractive to my children, I would recommend it to my friends.